Second edition of YSD Environment Day themed “Connect People to Nature”. 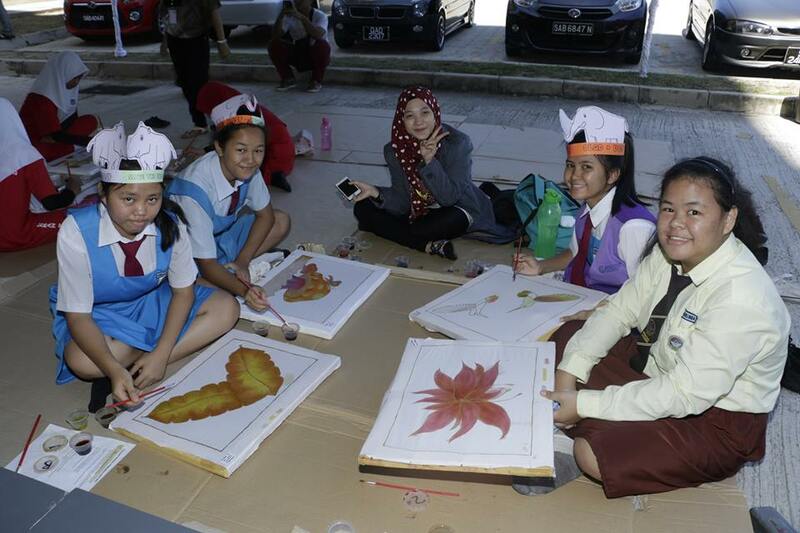 Batik painting was one of many activities offered at the YSD Environment Day 2016. This year, the public can enjoy even more activities at the Kuala Lumpur Performing Arts Centre (klpac) this coming 9 May for YSD Environment Day 2017. KUALA LUMPUR, 27 April 2017 – For the second year running, Yayasan Sime Darby (YSD) will be hosting the Yayasan Sime Darby Environment Day 2017; this time in the Klang Valley with a host of activities on all things green and sustainable. In conjunction with the World Environment Day, the YSD Environment Day will be held at the Kuala Lumpur Performing Arts Centre (klpac) on 9 May 2017 from 9am to 10pm. Celebrated every year on 5 June, the World Environment Day is led by the United Nations Environment Programme (UNEP). YSD Environment Day 2017, which adopts the same theme, will allow participants to unplug from their daily humdrum and immerse themselves in various activities highlighting vital Malaysian ecosystems, its beauty and the life it supports. The day will be filled with a variety of activities such as exhibitions by YSD beneficiaries and stakeholders and others organisations including the Borneo Sun Bear Conservation Centre (BSBCC), Borneo Rhino Alliance (BORA), Reef Check Malaysia (RCM), Nestle Malaysia, the Danau Girang Field Centre (DGFC), Management and Ecology of Malaysian Elephants (MEME), Malaysia Hydroponics, Grub Cycle, Nature Food Lab, Fuze Ecoteer, Suri Inspirasi, Sampah, Menyampah! and many more. The day-long event will also see the launch of a new documentary series called “Borneo Jungle Diaries” produced by film production company Scubazoo. Participants can look forward to the first two episodes of the series which will be screened exclusively at YSD Environment Day. The online series will document species unique to Borneo such as the Proboscis Monkey, Clouded Leopard and Bornean Banteng, among others. YSD Environment Day will also feature workshops focusing on everything environmentally friendly such as learning how to make waxed paper straws as an eco-friendly alternative to using plastic straws, how to make your very own all natural toothpaste and lip balm, and even making soap and candles from used cooking oil. For lovers of marine mammals, YSD Environment Day 2017 will also host a workshop on marine mammal stranding response to be conducted by MareCet Research Organisation. Aside from exhibitions and workshops, participants will be able to join compelling talks covering a variety of topics from the importance of conserving wild elephants in Peninsular Malaysia to coral reef conservation. There will also be captivating and life-changing documentaries screened from 8.00pm onwards. Participants will be able to catch a notable documentary screening by National Geographic titled, “Operation Sumatran Rhino: Mission Critical” which tells the story of the last three rhinos left in Malaysia and the challenges to conserve one of the remaining few iconic large mammals in Malaysia. Visitors will also be able to hear unique stories from Borneo through documentaries captured by Suara Films, such as the local tradition of keeping Blue-Crowned Hanging Parrots as pets. Parents can look forward to participating in eco-centric games to engage children and impart lessons on the importance of environmental preservation. YSD Environment Day 2017 seeks to raise public awareness, interest and understanding on the importance of conservation and benefits of a healthy environmental ecosystem, an event that is surely fit for all, young and old. Since 2009, YSD has committed RM130 million towards the protection of high conservation value ecosystems, vulnerable and endangered species as well as initiatives promoting the preservation of the environment and biodiversity.